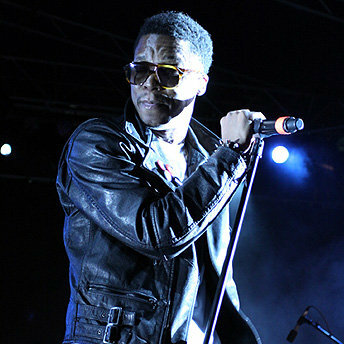 Chicago rapper Lupe Fiasco’s Kansas City debut promised to touch the sky, but left many fans hanging in midair. While Fiasco’s 65-minute set was strong, the lack of an encore left the brief evening seeking resolution. As his guitar player noodle a riff reminiscent of “Sweet Child O’ Mine,” Fiasco launched into “Shining Down,” a song he released as a on-line single last year. A handful of similarly low-profile or unreleased cuts were sprinkled throughout the set. It has been three years since Fiasco’s last release, and the crowd happily embraced the new material. Hip hop always sounds better when delivered through live instruments. Fiasco’s band included a drummer and a DJ, who rocked two Macs instead of two turntables, and it flexed its muscles several times. The setlist included a devastating reading of Radiohead’s “The National Anthem” as Fiasco spit some of his most articulate and angry rhymes of the night. The players also bridged one song to another with brief solos or instrumentals. The favorites were exhausted, but Fiasco still had plenty of tricks up his sleeve. “Scream,” another new track, was a low-key mood piece set in a wash of keyboards and guitars over insistent drumming and magical delivery. From there Fiasco made his biggest statement of the night. The trio of “Little Weapon,” a song about child soldiers in Africa, “Streets of Fire,” a portrait of inner-city gang culture, and “Fighters” created a stirring case against violence and war. The cavernous Midland was more empty than full. The upper balcony was closed and the floor was only three-quarters populated. While the fans’ energy rarely flagged, the sound suffered, and one had to wonder if the performance wouldn’t have been better in a smaller venue. A lot of the band’s sound seemed lost in the room. The drums were thin and it seemed only the guitar or DJ could be heard in the mix at the same time. Only Fiasco’s ultra-enunciated, rapid-fire rhymes consistently penetrated the space. The set ended with two of Fiasco’s biggest songs off “The Cool.” “Superstar” is a portrait of the fragility behind a celebrity’s public armor, and the hook-happy “Paris, Tokyo” is a hip hop love song about life on the road. When the band departed after a little over an hour, an encore seemed inevitable. 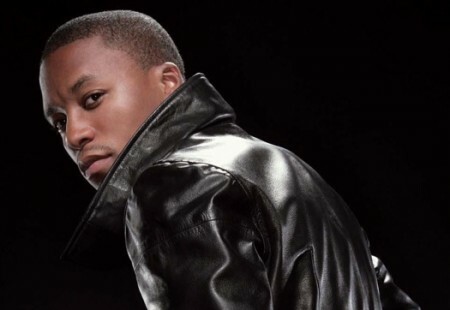 Too many good songs –including Lupe’s duets with Kanye West, “Touch the Sky,” “Us Placers” – had yet to be played. Chanting for their return, the crowd continued to stand in disbelief when the house lights came on. As the canned music grew louder, they gradually filed out. Les Izmore: The local MC turned his 30-minute opening set into a taste of the city’s hip hop scene. Backed by a DJ, he performed one number alone, then brought out Dutch Newman for another. His set really took off when the four-piece horn section and rhythm section from Hearts of Darkness came out. “Middle of the Map” had a tight James Brown feel, and the Afro-beat number “America One” got the crowd involved. Izmore took the stage wearing a duck head and leading the crowd in “Row, Row, Row Your Boat,” but quickly proved he’s no joke. Setlist: Shining Down, Solar Midnite, The Instrumental, The National Anthem, State-Run Radio, Hip-Hop Saved My Life, High Definition, Everyone Nose (N.E.R.D. cover); Go Go Gadget Flow; I Gotcha; Kick, Push; Scream;Little Weapon; The Cool; Streets on Fire; Fighters; I’m Beaming; Superstar; Paris, Tokyo.